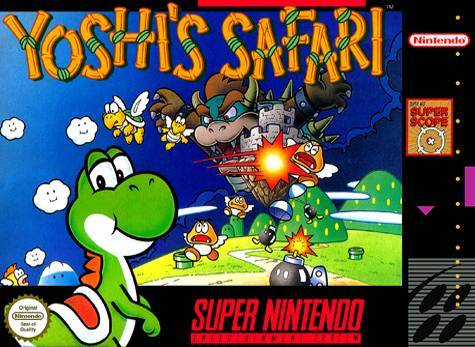 Yoshi's Safari for Super Nintendo allows you to grab the Super Scope, hop on Yoshi, and blast the bad guys until they give you the crystals in Yoshi's Safari. 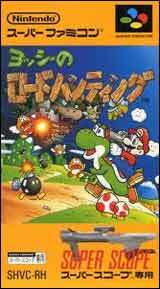 This unique first-person perspective is created with the Super Nintendo's Mode 7 capabilities, and the pinpoint accuracy of the Super Scope creates the best game experience possible. For 1-2 players.